Mississippi by Washington Street Studio. Minuscule purple flowers and leaves on a white and lighter purple linear background. Sold by the yard. 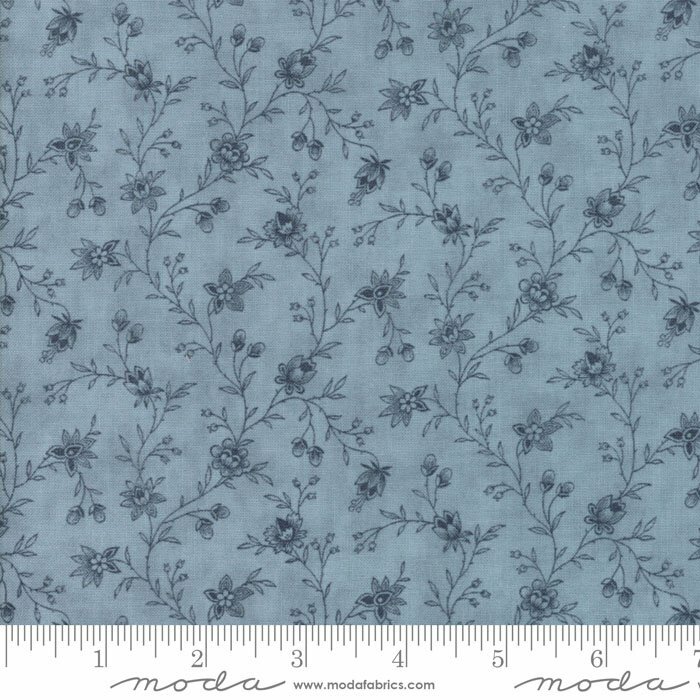 Snowberry Prints by 3 Sisters. Large-scale flowers and leaves in light shades of blue on navy background. Sold by the yard. 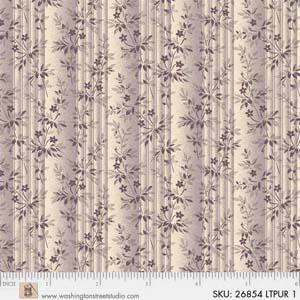 Snowberry Prints by 3 Sisters. Small-scale, navy blue flowers and vines on lighter blue background. Sold by the yard. Small blue, green, and white boats on cream background. Sold by the yard. Large, brightly colored race cars on black background with tire tracks. Sold by the yard. 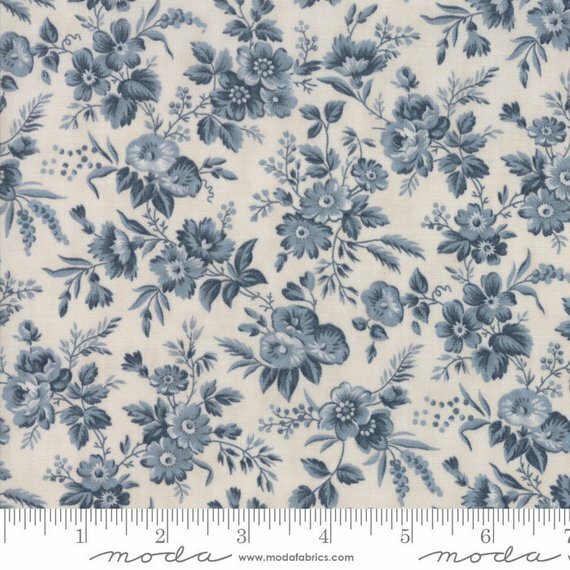 Snowberry Prints by 3 Sisters. Small-scale, pale blue leaves and flowers on cream background. Sold by the yard.